When the police and prison guards overstep their bounds of authority, what recourse is there for the victims? Can the police just get away with violating a person’s civil rights? Police officers and prison guards are employed to protect us from harm, not mete out physical punishment. The law protects all citizens, including people accused or convicted of crimes, from violence at the hands of the police. The attorneys of The Orlow Firm provide strong representation to victims of police brutality throughout the New York City metropolitan area, including The Bronx, Brooklyn, Manhattan, and NYC. Our attorneys are thoroughly versed in the laws concerning police brutality and prison guard abuse. If you are a victim of police brutality or prison guard abuse, it’s important to contact a lawyer immediately. You may only have ninety days from the date of the incident to file a notice of claim against the police department in order to preserve your right to sue. A police misconduct complaint involving the use of excessive force is unforgivable. The fact that the same people we trust to guarantee the safety and security of the public, can also abuse that trust by causing physical harm to the members of that public, is appalling. By law, a police officer may use only as much physical force as is needed to control a situation. If a person involved in a routine traffic stop or arrest is respectful and cooperating with the officer, no physical force should be required. By housing police, hospital security officers or school safety officers. While every case is unique and your results may vary, our firm has won jury trials and obtained compensation settlements in many New York City police brutality cases. Wrongful Death in Police Custody results in a verdict amount of $1,250,000. You do have rights! 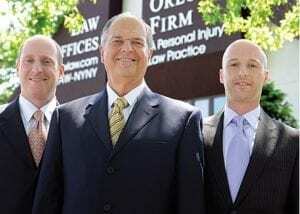 Contact The Orlow Firm to talk to a NYC police brutality attorney. Our qualified and experienced lawyers will offer a confidential and honest assessment of your case. Call us at (646) 647-3398 or message us online.